Six years ago today I slept longer than I thought I would. Six years ago today the generator wasn’t turned off at 6:30 AM. In fact, six years ago today the generator stayed on all day. Six years ago today we stayed in the dorm all day. Six years ago today I spent a lot of time doing e-mail—we had electric and internet, so I thought, “This is a great time to make a dent on my e-mail.” Six years ago today I spent hours in Bethany Dorm’s computer room reading and writing e-mails. Six years ago today a number of girls drifted in and out of the computer room checking e-mail and visiting. Six years ago today we could hear rapid gunfire all around us. Six years ago today we kept working away. Once in a while six years ago today the gunfire would sound extremely close. Once in a while six years ago today the windows would rattle because the shelling was so close. When those things happened six years ago today, we would all stop what we were doing, sit in silence for a moment, and then someone would say, “That one was close.” Six years ago today we would all agree and then go back to what we were doing. Six years ago today I understood a little more about how the proverbial frog in the pot feels. Six years ago today we knew that somebody was coming to get us out. Six years ago we knew that the Americans and the French were arguing about who would have that privilege. Six years ago today we really didn’t care who won the argument. Six years ago today we read on the internet that the French were coming to get us out and the American troops were across the border in Ghana. Six years ago tonight the director decided we needed to have some closure. Six years ago tonight he opened the gym for a farewell time for the whole school. Six years ago tonight before the closure time I had 15 minutes to go to my house to shut off my phone and grab any last minute items. Six years ago tonight I walked through the darkened campus to my apartment and jumped at every little sound. Six years ago tonight I shut down my phone and took a last look around my apartment. Six years ago tonight I tried to decide what to grab and try to stuff into the carry-on I was allowed to leave with. Six years ago tonight I decided to pull pictures out of frames. Six years ago tonight it was incredibly humid and all the pictures were plastered to the glass in the frames. Six years ago tonight I grabbed my Sheer Blonde shampoo and conditioner because I knew they’d be wasted on the rebels—or the government troops for that matter. 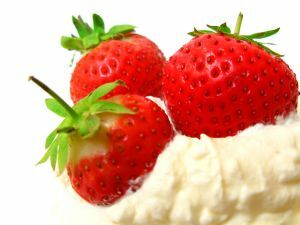 Six years ago tonight I grabbed a few kilos of strawberries and some whipping cream from my fridge. I didn’t want any troops enjoying all my hard labor of the winter. Six years ago today we had strawberries for snack before we went to bed. Six years ago today we all gathered in the gym to say our good-byes. Six years ago today we took a lot of pictures. Six years later looking at the pictures, the kids look content to be together after spending the day in the dorms. Six years later the adults look exhausted and incredibly sad in those same pictures.